Your Online Resource for San Diego Music, Events, Restaurants, News and More! 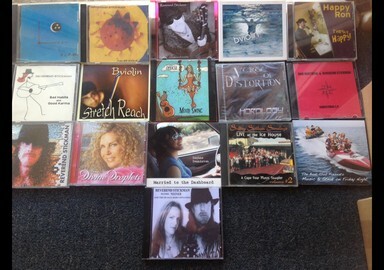 and many more including Bob Bartosik, Charlie Imes, Daphne Denniston, David Brown and Sequoia Neptune. 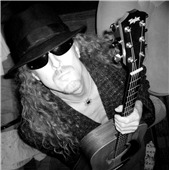 Reverend Stickman's work in the studio and with other touring acts as well as his own unique brand of music has garnered extensive radio airplay and TV appearances, 4 San Diego Music Award nominations including Best Blues Album of 2015, San Diego Best Songwriter of 2011 and numerous awards and credits for arrangement, production and performance on 23 different CD releases in just the past 5 years. 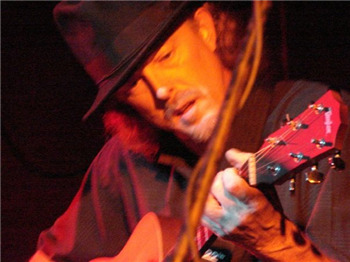 He performs with many artists as a hired gun (guitarist) both locally and touring around the country, playing genres ranging from beach and folk to world fusion, pop and hard rock. But it is his award-winning original music that really shines through. The music of Reverend Stickman inspires and amazes. Fantastic chops rarely seen on an acoustic guitar. Thoughtful songs that reward the careful listener as well as the casual fan with interesting harmony and a variety of musical influences. Never just the same thing twice with different words, but completely different approaches from song to song. Really compelling lyrics that engage people with honest storytelling, sometimes dark and cynical, sometimes sweet and faithful but always with a sense of humor that gets the crowd involved. And the onstage banter of the Reverend is always fun and unpredictable, keeping the audiences laughing and listening. From coast to coast in concert halls, theaters, lounges, bars, coffeeshops, and living rooms, those who have seen Reverend Stickman perform come away not only impressed, but whistling or humming a melody line from their new favorite song. Here we are together for how long? Is there any real good solid reason to be strong?